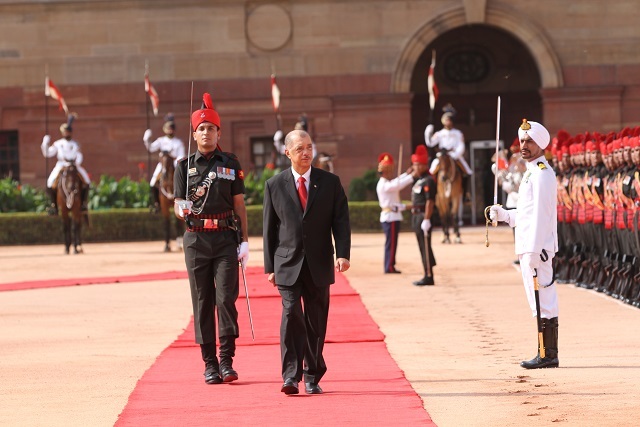 (Seychelles News Agency) - The Seychelles President James Michel has described relations between India and the Indian Ocean archipelago as “vibrant” adding that his visit to India aims to consolidate the “excellent relations” between the two countries. 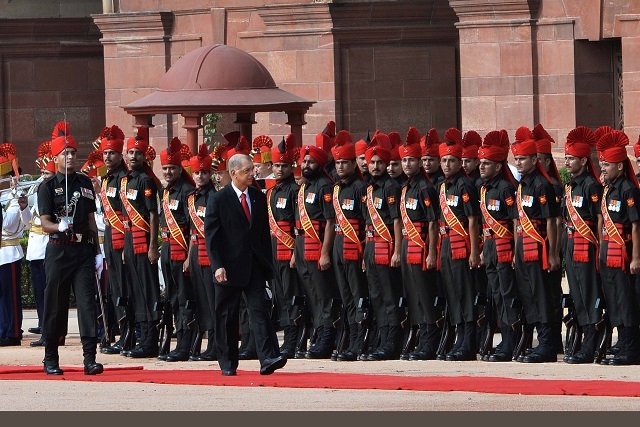 In a press statement issued this evening, State House said Michel was speaking to the Indian media after he was welcomed at the presidential palace in New Delhi, the Rashtrapati Bhawan, where he was accorded a Guard of Honour. 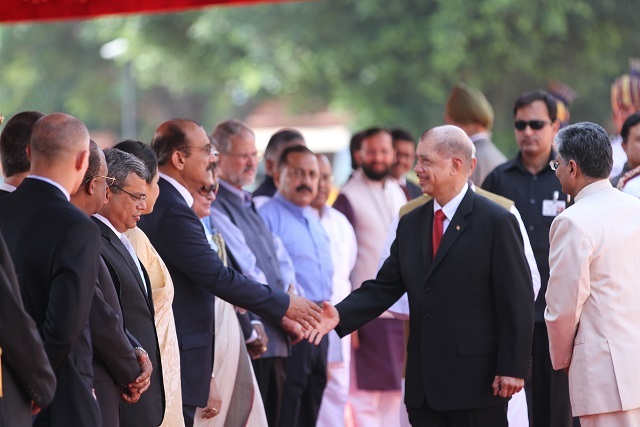 The Seychellois Head of State was also welcomed upon his arrival by the Indian President, Pranab Mukherjee, the Prime Minister, Narendra Modi and other officials of the Indian government. "We have so much in common, we have same shared values, and we have same cultural affinities. India and Seychelles can work together to achieve greater security for our region," said Michel in the statement. 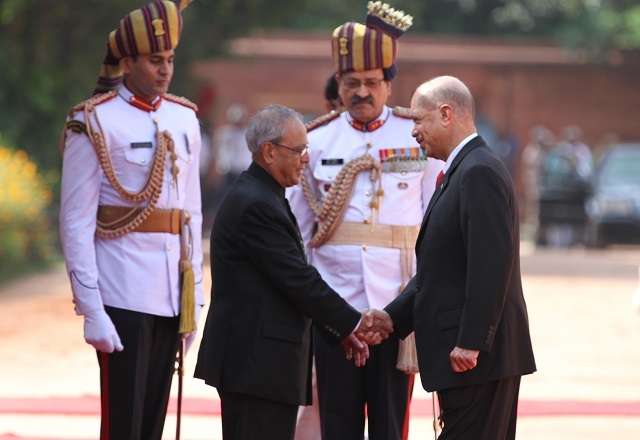 President Michel who arrived in New Delhi on Tuesday evening is on a three-day State Visit to India at the invitation of Indian Prime Minister, Narendra Modi. 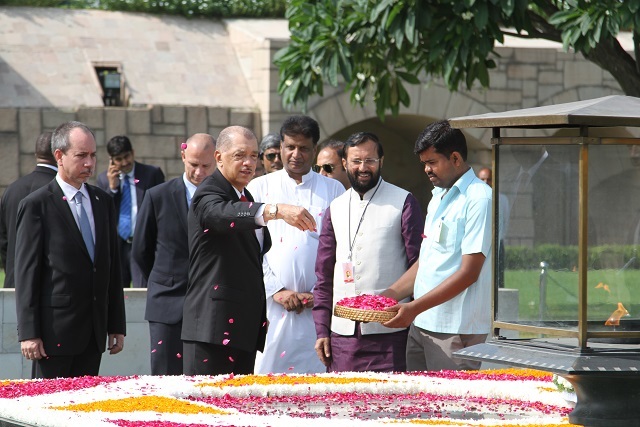 He is accompanied by a delegation comprising of government ministers and other high level officials in various fields as well as members of the Indian Community in Seychelles. 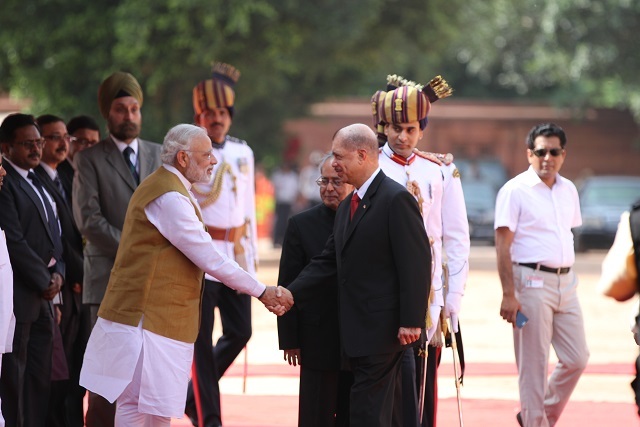 President Michel’s state visit to India comes just five months after the historic visit of Prime Minister Modi to Seychelles in March this year. On his first day in New Delhi, Michel has held bilateral talks with Prime Minister Modi which was followed by the signing and exchanges of agreements between the two sides. Five agreements including an information exchange agreement with respect to taxes, a Memorandum of Understanding for the supply of a Dornier aircraft, an air services agreement, a protocol on framework of cooperation in the field of the blue economy and a Memorandum of Understanding relating to agriculture research and education have been signed between the two countries. India has also presented navigational charts relating to the Seychelles Atoll of Aldabra. 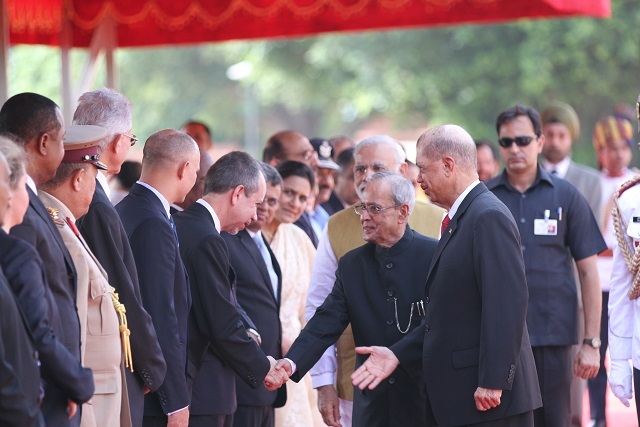 The exchanges took place in the presence of President Michel and Prime Minister Modi. In a joint press statement Modi said Seychelles is a key strategic partner for India. “I am pleased that we are making good progress on decisions from my very productive visit in March,” said Modi. "We are two nations of vastly different sizes. But, this relationship is an outstanding model of international partnership. This special and unique relationship will always be at the centre of our interests…I am confident that this milestone year for our relationship will be the springboard for taking our strategic partnership to a new level." The Indian Prime Minister also announced the gifting of one more Interceptor Coastguard boat to Seychelles, in addition to the Dornier aircraft that was announced in March, during his visit to the Indian Ocean archipelago. 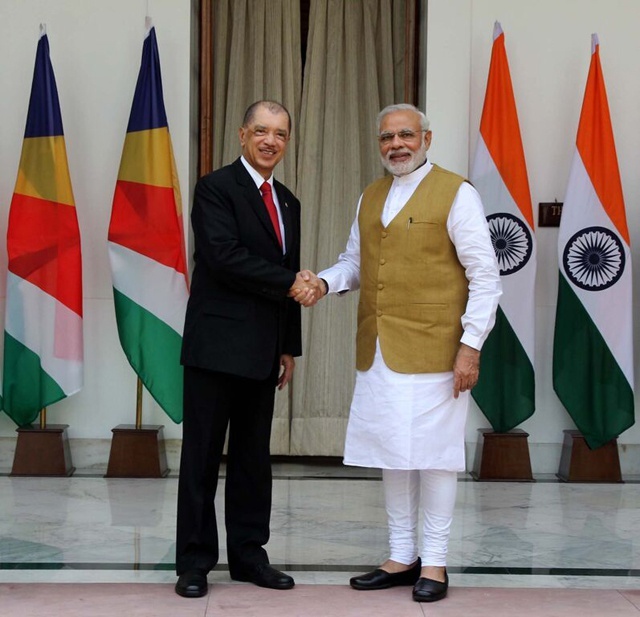 For his part, the Seychellois Head of State said he has had constructive and fruitful discussions with Prime Minister Modi which he said reinforced his conviction in the strength and importance of the relations between the two sides. “More agreements that have been signed today, in finance, agriculture, maritime security, the blue economy and air connectivity have paved the way for the enhancement of our bilateral relations,” said Michel. This is President Michel’s third state visit there following the ones in 2005 and 2010. 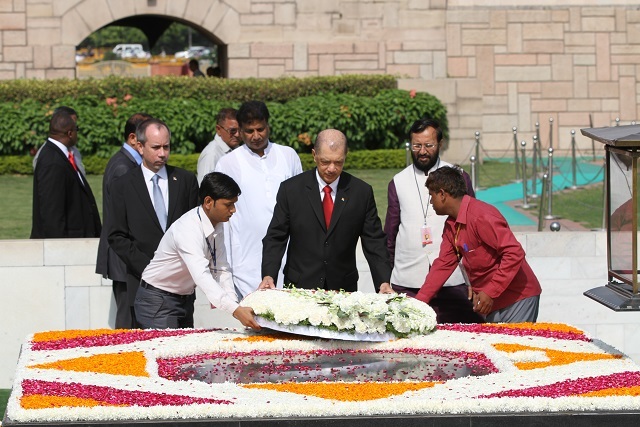 India established diplomatic relations with the Seychelles since its independence in 1976.